Led by Captain Chris Buchanan the Judicial Unit is responsible for maintaining security at the Gulf County Courthouse, the security of judges and the service of civil process. Each and every visitor of the Gulf County Courthouse is screened through the use of a magnetometer and an x-ray machine. 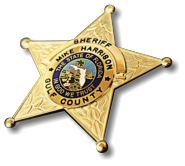 The unit supports the Sheriff's Office in the service of civil process which includes: service of subpoenas, summonses, and other non-enforceable civil process; execution of enforceable civil process to include: Writs of Possession, Writs of Replevin, Writs of Execution; execution of child custody orders; and service of temporary and final injunctions for protection. The unit consists of three deputies.